Absolutely. Carpeting attracts and holds many allergenic spores, dust mites, bacteria, fungi, animal dander and other unhealthy microbes. These disturbing irritants are dispersed every time you vacuum. 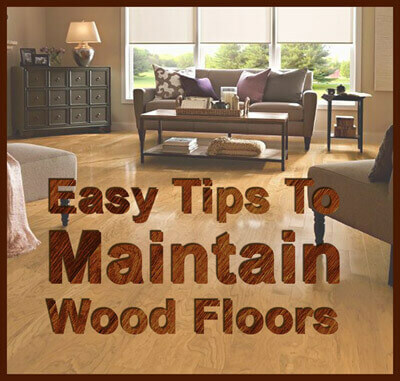 When properly maintained, hardwood floors can last a lifetime. The average carpet needs to be replaced every 10 to 12 years. Red Oak is the most preferred hardwood for use in homes. Maple is the number one choice for gymnasiums, basketball courts, dance floors and other commercial applications. Maple is harder than oak, and can stand up better in commercial use. I heard humidity levels need to be controlled for hardwood floors, is that true? Humidity in your home should be kept at approximately 45%. An extremely dry house during the heating season will cause flooring to shrink, which will create linear cracks between the flooring slats. On the other hand too much humidity will cause the flooring to swell and could cause the boards to cup or crown. My hardwood floors are lackluster, and look like they need a face lift. Should I attempt to renovate them myself? We recommend our professional floor refurbishers. We have all the equipment and experience to do the job efficiently and correctly the first time. Plus, we guarantee the results. What is the lead time for scheduling a floor refinishing or installation? Generally from 1 to 3 weeks out depending on the job. Consult our office for a more precise time. How long does a hardwood floor installation take? We generally visit your site to give you an accurate time and cost estimate for hardwood floor installations. Normally sanding & finishing is a three day process, but allow four in case the finish isn't dry from one day to the next, depending upon weather conditions. How much dust is created by the sanding process? There will be a fine film in the sanded areas. To keep dust from penetrating other areas of your home, we recommend applying plastic to doorways using 3M blue tape and thin plastic film. The plastic and 3M blue tape is available at your local hardware or home supply store. How long does it take for the floor to dry after each surface coat is applied? A coat of oil base poly takes 8-12 hours to cure - a coat of water base poly takes 4-6 hours to dry. What temperature should I keep my home during the finishing process? 68 to 72 degrees Fahrenheit is ideal, if your home is too hot or too cold, it could cause the finish to dry incorrectly and delay the job. Recommended 24 hours after the final coat is applied (with protective felts under all furniture). Large area rugs need to be kept off the floor for the first 30 days. Use a breathable perforated rubber pad under rugs. Will my floor be shiny? You have a choice of a satin, semi-gloss or high gloss finish for your floor. Do you move furniture or appliances? No, due to liability concerns that is an option left to the homeowner. Can I stay in my home during the floor sanding process? Yes, however access to the floors will be restricted because of the need for a certain amount of drying time each day. What time will the refinishing crews start each day? Generally most installations or refinishing jobs are started between 8:30 and 9:00 AM. Smaller jobs are sometimes started in the afternoon. The application of polyurethane varied from day to day depending on the finishing crew's route, and will be decided at that time.